Ten seconds of actual soap. It’s a miracle! CARLY: Look, I don’t want to intrude. Sonny’s in the chapel, he’s saying a prayer. And we wanted to be here for Jason… we wanted to be here for you, too. So this show is basically just fanfic now, right? I was assured by a trustworthy party that this episode was not terrible, so it’s getting a recap. We open on Elizabeth answering the door to find Lucky waiting with a big smile on his stupid, scruffy face. 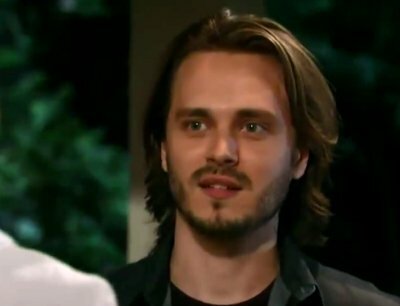 You know, as much as I never, ever, ever want these two to get back together — and even though the state of his hair right now is causing me physical pain — the sight of Rebecca Herbst and Jonathan Jackson will never not make me just a little happy. Night of a thousand Carlys! Another year, another anniversary, another recap. Before we get into it, I’m calling a moment of silence for Television Without Pity. Here’s to you, TWoP: there was a time when posting on the GH forums was the only thing that got me through some very boring days. We’ll always have our memories. And Demian’s magnificent Charmed recaps. Onto this recap! 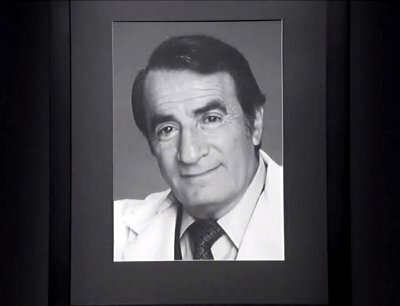 We open in black and white, on a picture of Steve Hardy and other notables from GH’s past, hanging on a wall in the hospital. A ghostly voice over the hospital intercom pages him, Alan Quartermaine, Jessie Brewer, Rick Webber, Jeff Webber, Leslie Webber, Noah Drake, Amy Vining, and Tony Jones as we pan across the empty hospital. Well, this is probably going to be emotionally devastating. … and here’s to 50 more. 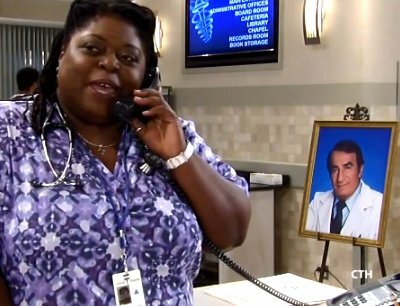 We open on Epiphany talking on the phone to someone named Doris about someone named Frank while an extra carries a portrait of Steve Hardy out to display in the lobby. Meanwhile, Patrick is about to give the new group of interns a tour, as the Chief of Staff is nowhere to be found. Of course, that’s because Monica is right where we left her — at home fighting with Tracy. Suddenly, they both see Alan appear.